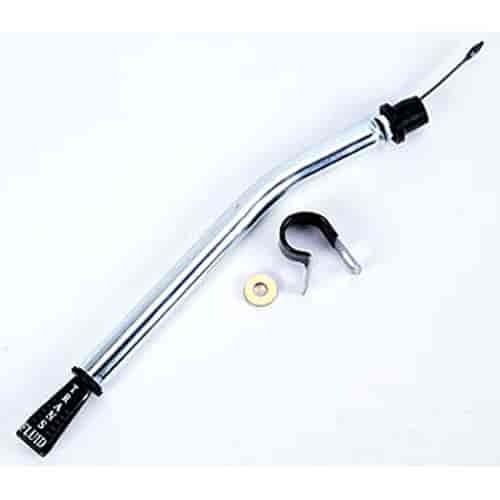 TCI offers high-quality Dipstick Assemblies (dipstick and filler tube) for use with most Chrysler, Ford, and GM transmissions. TCI transmission dipsticks have a locking stick, that meets the racing rules of the sanctioning body. TCI has designed these transmission dipsticks with an improved rubber boot seal, compared to the older OE tubes small O-ring style. Available in black, clear zinc or gold dichromate finish for long-term durability. Does TCI 743850 fit your vehicle? 743850 is rated 1.0 out of 5 by 1.